Aww yeah they’re back! Our unisex tees are sure to impress even the most discerning beer geek in your life. They fit like a well-loved favourite and will quickly become a contender in your weekly rotation of beer shirts. 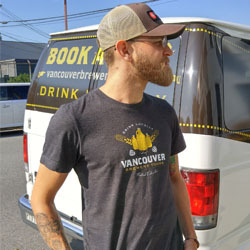 Each Vancouver Brewery Tours tee is made with a 48% cotton/ 52% poly blend making it super comfy and hard to take off. Shipping and Handling: $5.00 and 5-7 business days for delivery. Regions Available for Shipping: Please note this product is only available for shipping in Canada at this time. Instructions at Checkout: We need 2 pieces of information to process your order: your preferred mailing address and t-shirt size. If the shipping destination is different from your billing address, please remember to fill out the shipping address section, with any special delivery instructions added to the “Add Special Instructions to the Seller” section. Tell us your size! 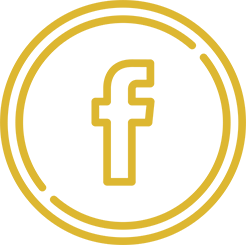 Select the number of tees for purchase, and in the “Add Special Instructions to the Seller” state your requested t-shirt size. If you forget, don’t worry! We’ll follow up to confirm. Once payment has been received and t-shirt size provided, your order will ship within 24 hours (1 business day).